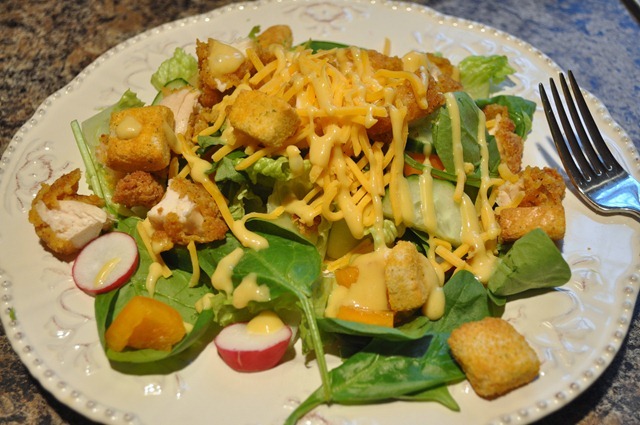 Running, Eating, Baking, Living…finding balance in food and fitness! Hi guys! I didn’t plan to go MIA but blogging just doesn’t seem to work out when we’re dealing with an extra fussy baby. Matilda may be having some acid reflux issues so I’m going to call the doctor in the morning. It’s exhausting for all parties involved! I just looked over my meals from today and they were all rather brown/beige…not a good thing! I need a nice green juice in my life! 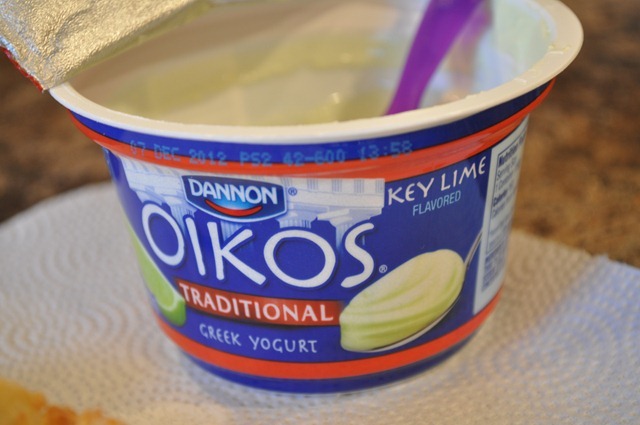 Breakfast was simple but actually something to get excited about…an english muffin (not the exciting part) and Oikos keylime greek yogurt (yup, there it is). So delicious. I’m sure it’s made with whole milk since it’s so creamy but I don’t really care. I might need to make a special trip to the store just to restock. 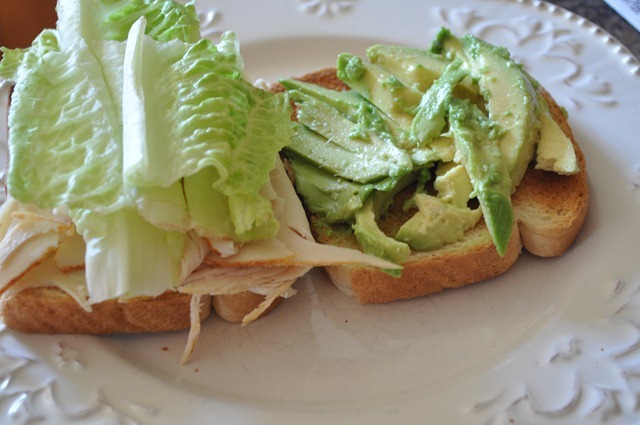 During a too short nap I threw together a sandwich: buffalo chicken with lettuce and half an avocado. 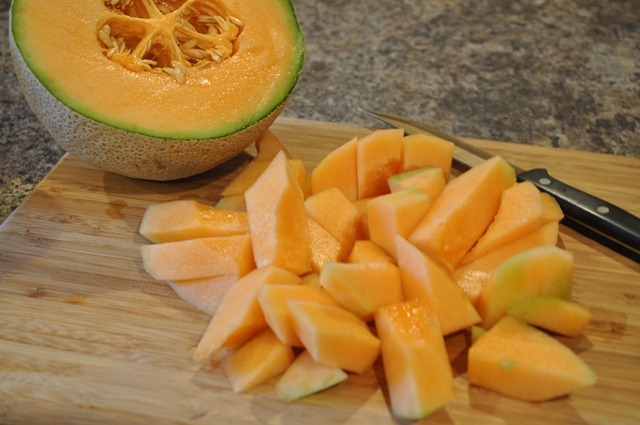 I made an iced coffee for an afternoon jolt, and snacked on some cantaloupe. Have you tried this instant iced coffee from Starbucks? I’ve had it sitting in my purse for months…it’s not very good. 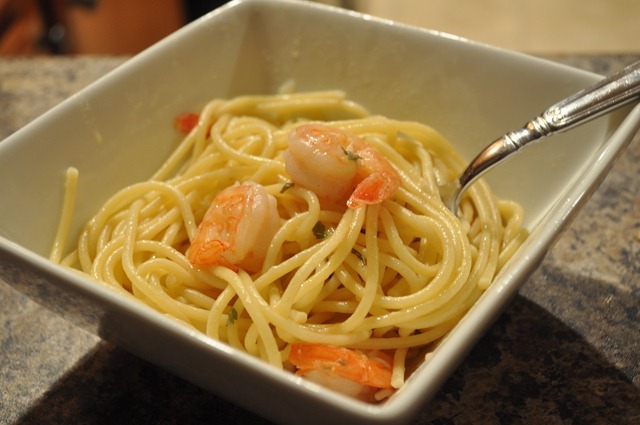 Dinner was quick and…beige! 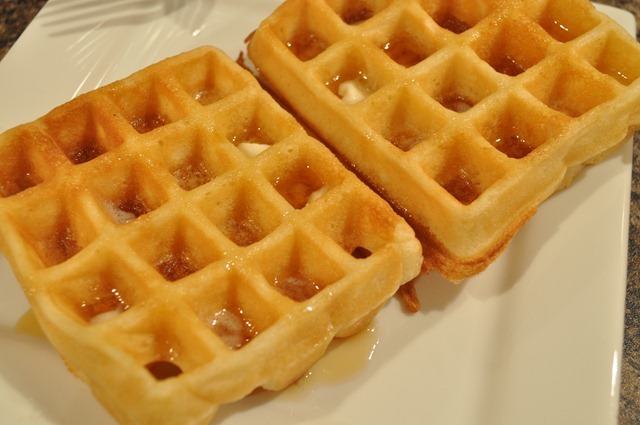 Waffles with butter and syrup…tasty, tasty! 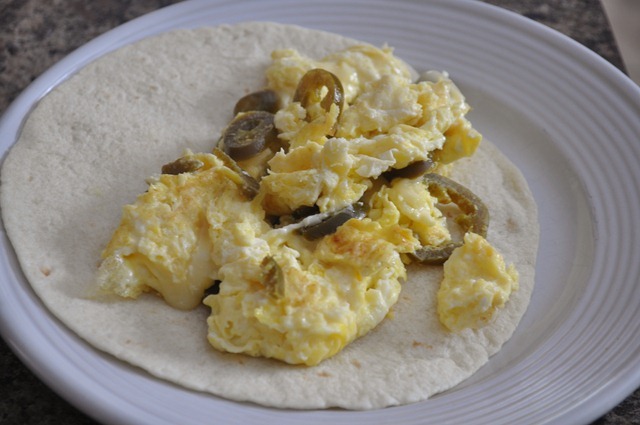 I had my standard breakfast this morning, an egg wrap. I’m not usually feeling very creative in the morning! 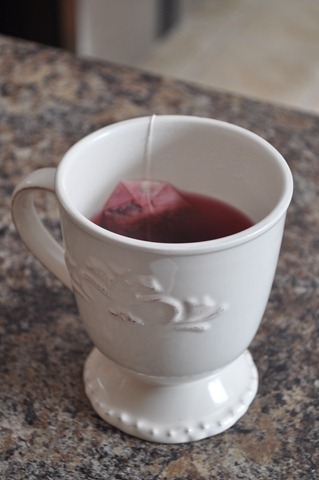 Tazo Passion tea sweetened with a little sugar. So not ready for it! I don’t think it’ll last long, though…fingers crossed. We hung out at home playing, cleaning and napping. Well, Matilda napped while I ran around trying to get as much done as possible. You never know how long she’ll sleep so it’s a mad dash while she does! I got the floors vacuumed and mopped, as well as some work done. Success! 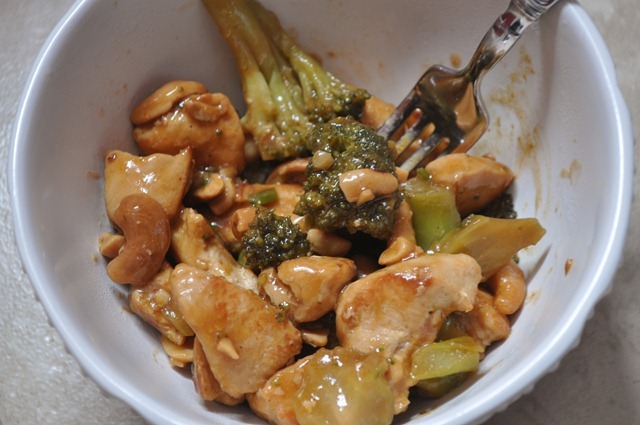 For lunch I heated up some leftover cashew chicken from last night. I’m still tweaking this recipe but I’ll share it soon! It’s so good, and even better the next day. 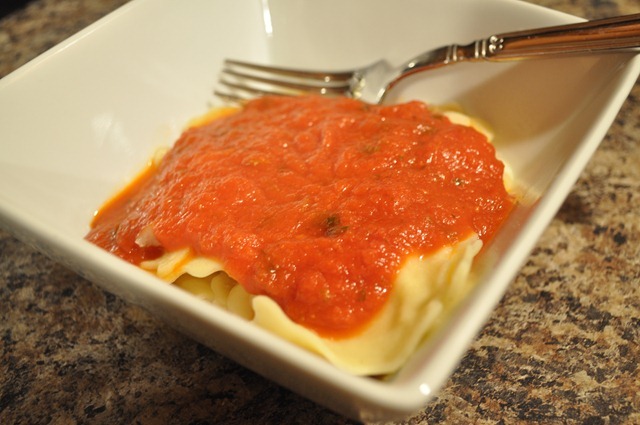 The cashews soften a bit from the sauce…yum. We had it with rice last night but I skipped it today. 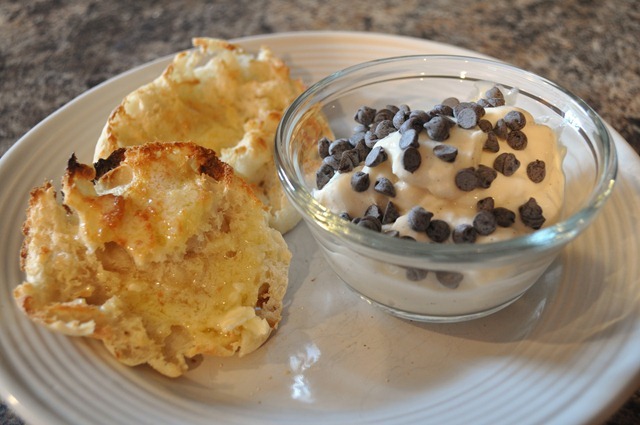 I want to make some rice pudding with the leftovers! 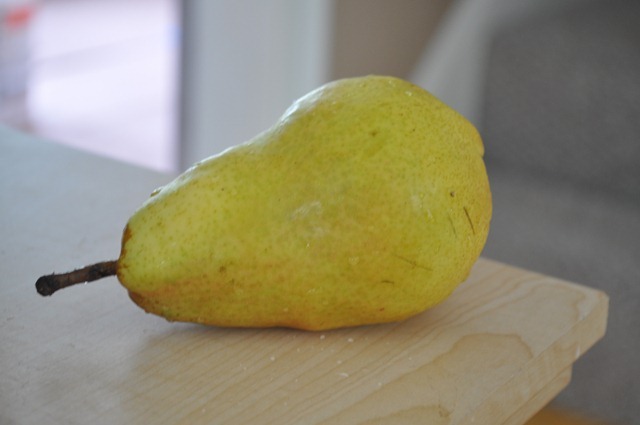 A juicy pear made a great side. 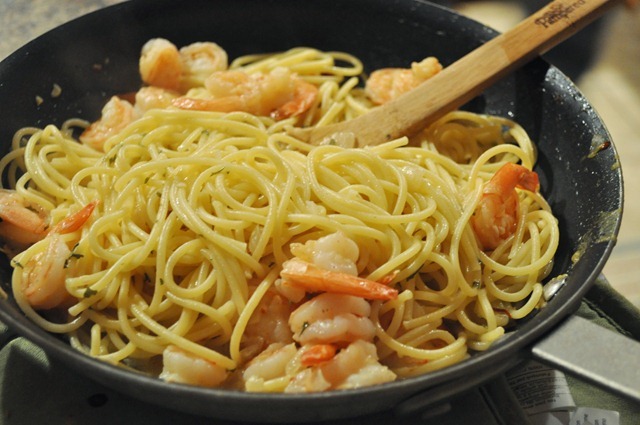 I had some shrimp in the freezer so I decided to make some shrimp scampi for dinner. I didn’t realize that the shrimp wasn’t peeled or deveined (I’ve only purchased cooked shrimp in the past so I guess I didn’t really read the package) so that was a little interesting! Definitely a first but it was so worth it! Between the two of us we polished off the pan! So tasty and very flavorful. 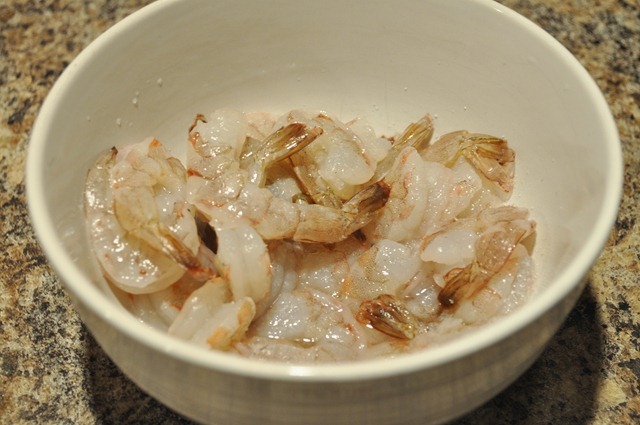 Using raw shrimp (rather than precooked) and fresh lemon juice made such a difference. 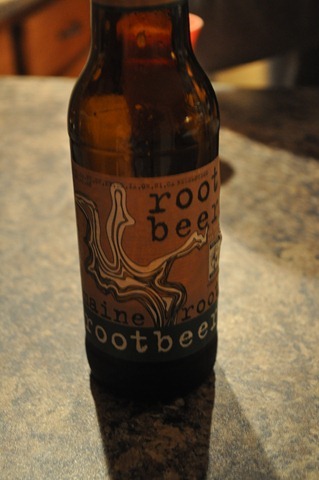 I had a root beer as a treat! It’s really weird because before I had Matilda I couldn’t even stand the smell of root beer. I’ve always hated it but now I love it! I really should get a workout in…but I really just want to make some cookies instead! I stayed up way too late last night watching election coverage and I was really dragging this morning. Matilda has started getting up to eat during the night again…I need to change that ASAP! If only it were that easy. Once we were up for the day I made myself breakfast. 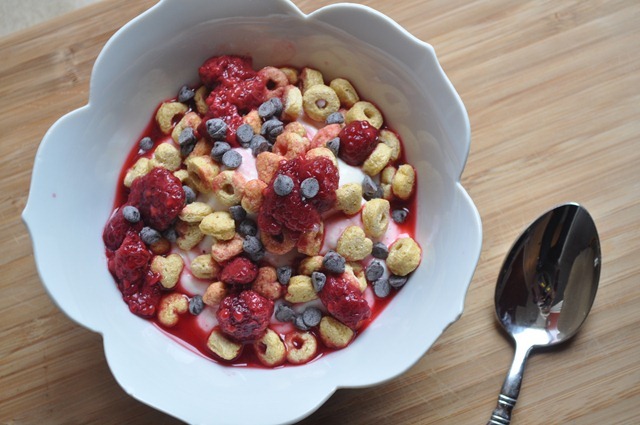 I wasn’t in the mood for eggs so I had some vanilla bean greek yogurt topped with Kashi cereal, some defrosted raspberries and some mini chocolate chips. It was basically dessert. I loved how tart the raspberries were…it balanced out the sweetness of everything else! I am definitely more of a savory breakfast lover but it’s nice to change things up. After playtime Matilda went down for a nap and I changed into workout clothes. I was determined to get moving today! I did this workout that The Fitnessista posted the other day. It was great! You do it for time and it took me just under 20 minutes…with lots of breaks! I was a mess by the end. 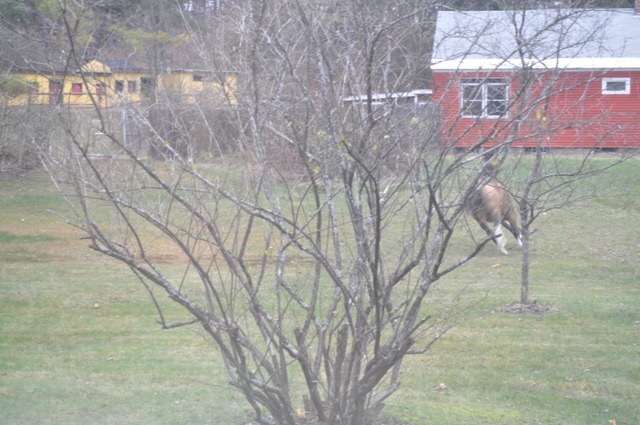 Totally random but as I was taking that picture I heard a strange noise…I looked out the window and our neighbor’s horses had gotten out and were running around our yard! The best picture I could get…it scared me so bad at first. Then they trotted back into their pasture and that was that. 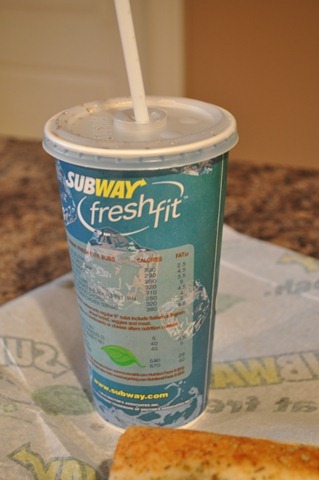 Once Tilly was up we ran some errands and I grabbed Subway for lunch. 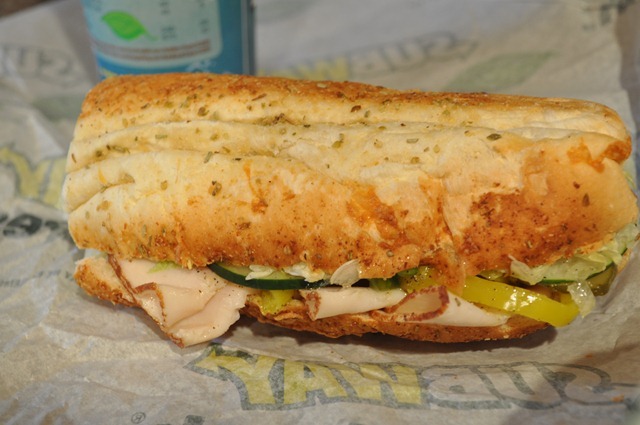 I got a turkey sub with veggies and oil/vinegar. It hit the spot. And a diet coke. Sometimes it’s just necessary. What’s on the menu for dinner tonight? 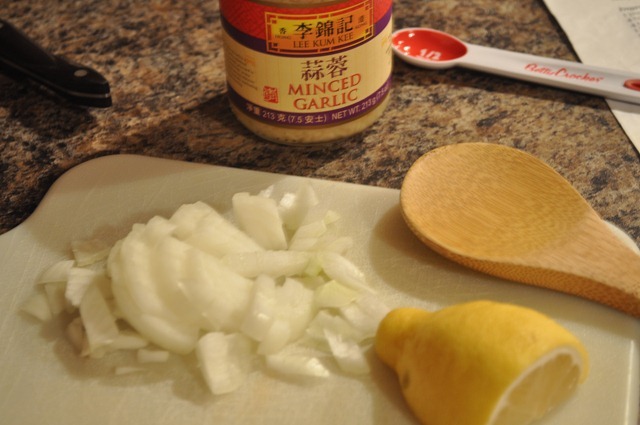 I’m making cashew chicken…I’ve been dreaming of it! 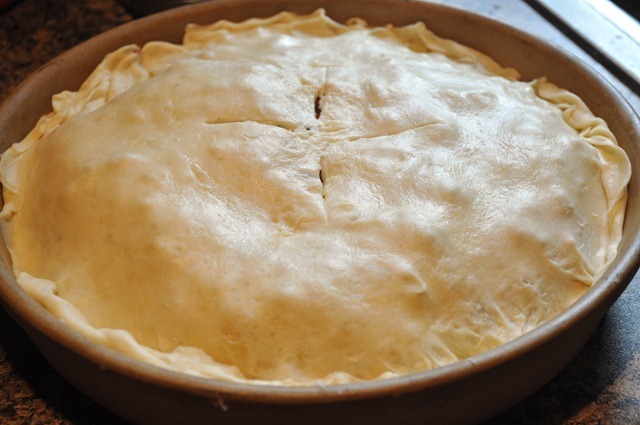 I’ll be sure to share the recipe soon…it’s so good. And the leftovers are even better. It’s been a quiet day over here! We decided to stay home from church since Tilly still isn’t back to normal yet and watched it online instead. The extra hour of sleep was glorious, wasn’t it? 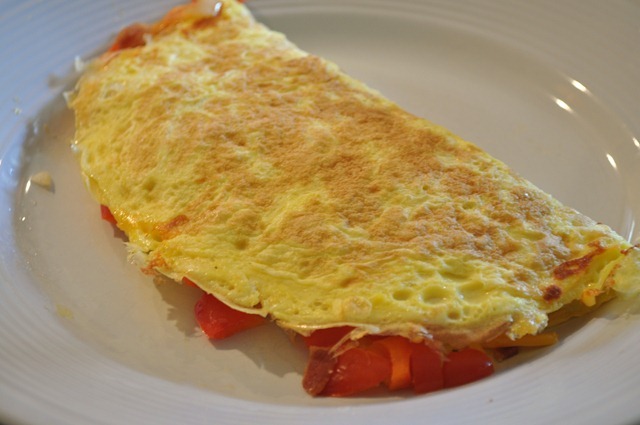 Reid made us breakfast this morning and whipped up some omelets…two eggs, bacon, tons of veggies, and cheddar. Very tasty, indeed. He also made fresh juice…with pretty much every veggie we had in the fridge! ‘Orange juice’, made with carrots, celery, tomato, apple, pear, spinach, and who knows what else! It was…healthy. 😉 It wasn’t horrible but I do prefer the other combo we’ve been making. I also had a pumpkin iced coffee but didn’t take a picture…I’m sure you can imagine what that looked like. 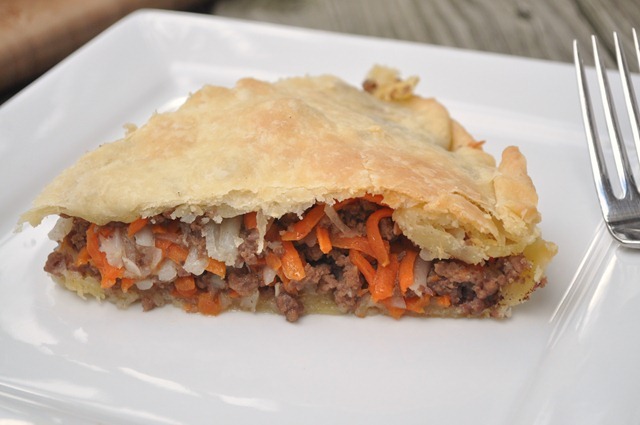 I decided to make a pasty for lunch, at Reid’s request. I’ve never made them before but we had them occasionally growing up (I don’t think my mom ever made them…she would buy them from someone at our church). 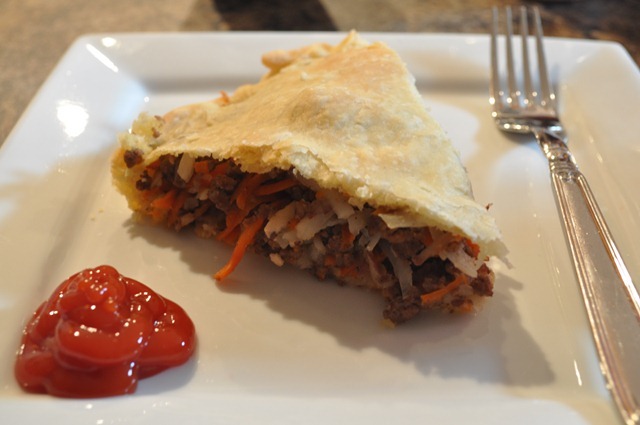 It’s a meat and veggie hand pie of sorts, though I chose to make it in a pie dish rather than make individual ones. My mother-in-law makes it this way so I decided to give it a whirl! 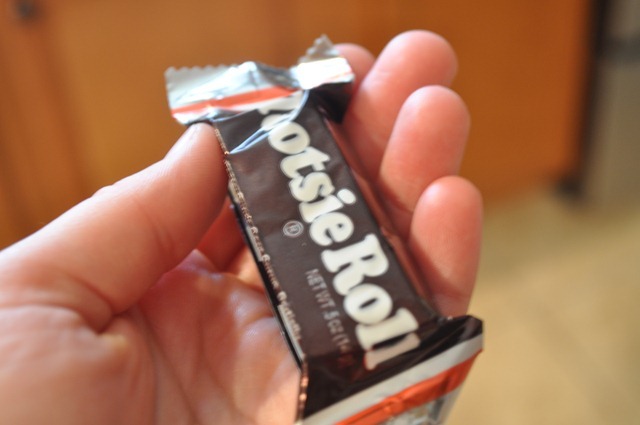 While it was baking, I ate a tootsie roll to hold me over…I was so hungry! Didn’t exactly do the trick but it was still good! 🙂 It was the last of the leftover Halloween candy and I’m glad it’s gone. Served with ketchup since that’s how we always ate it. It was delicious and I went back for seconds. Total comfort food! We are heading to my parents’ house soon for family night! Enjoy your evening! I hope everyone is safe and sound!! 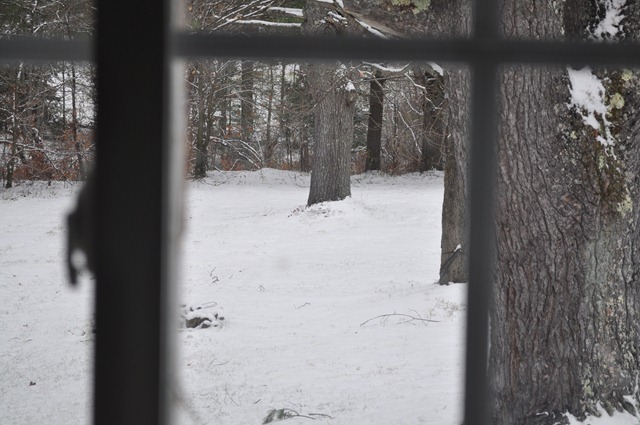 We were very lucky and didn’t lose power at all, though people in the surrounding towns are still in the dark. I woke up this morning to the sun shining! It was a welcome sight. Lunch and dinner yesterday weren’t anything special but they were good! 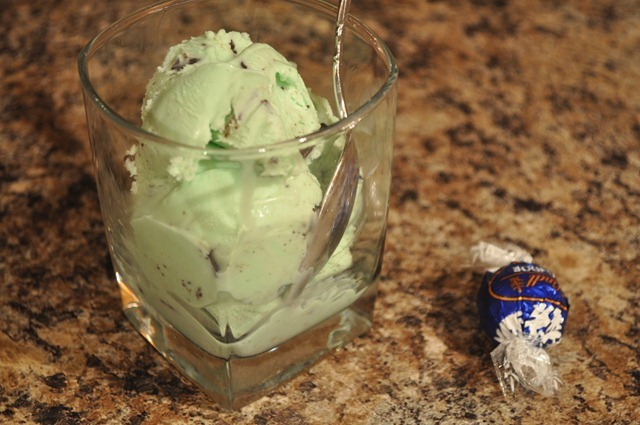 Mint chocolate chip ice cream and a chocolate for dessert. The green kind, since the white kind just doesn’t taste as good. I was kind of hoping to lose power so I had an excuse to eat the entire carton of ice cream for dinner…though we have a generator, so there’s that. Matilda slept for almost 13 hours last night (a record) and we both woke up around 9…I think she likes sleep as much as I do! It’ll come back to bite us when we have to get her up for school. I think it’s also a guarantee that any future children will be up every hour for at least two years. 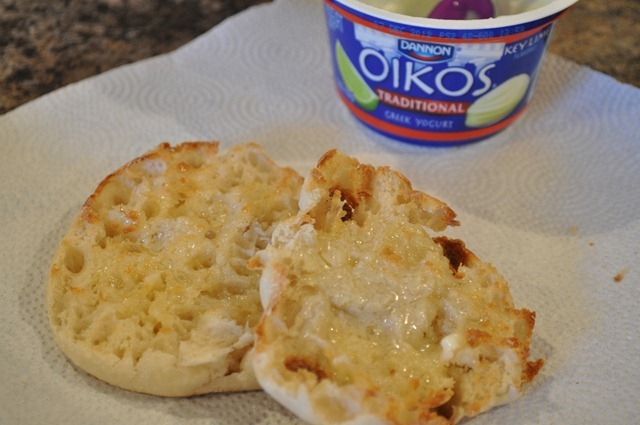 I made a sweet and salty breakfast of an english muffin with butter and greek yogurt with chocolate chips. Yeah, I could probably find a healthier topping but this is just so delicious! If you’re in the area, do you have power? Any home damage? I'm Ashley. Wife and new mom. 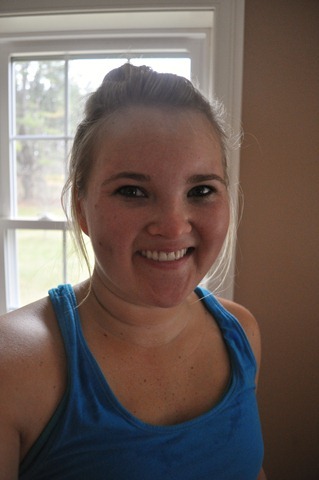 Lover of food, running, baking, strength training, fashion, iced coffee, interior design, and photography. Welcome to Will Run for Food, where I document bits of all of the above (and more)! Thanks for stopping by!